This is a gorgeous ring. 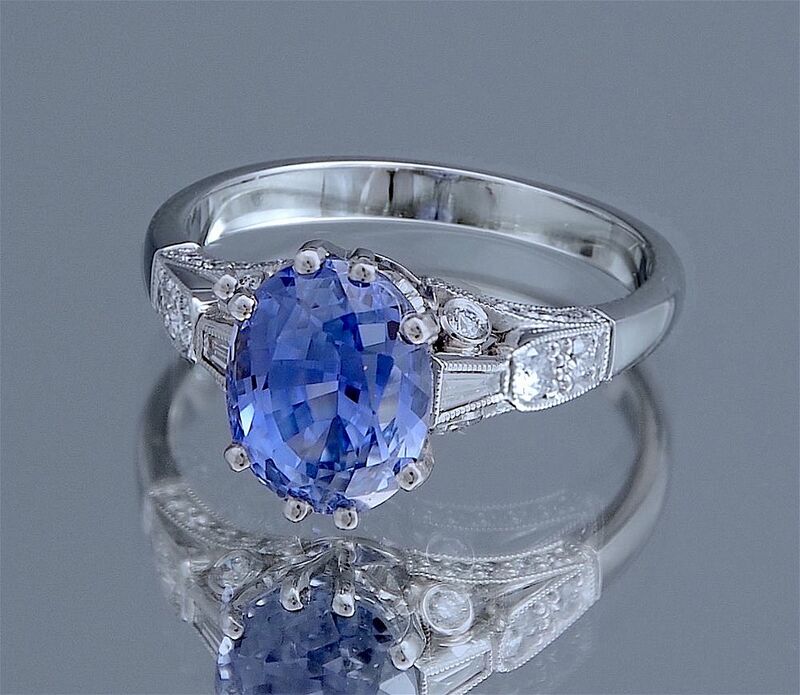 Alan recut the cornflower blue sapphire and then designed the setting for it. The oval sapphire is claw set above an open work collet. Each shoulder has a taper baguette and two round diamonds in mille-grain settings with a round tube set diamond in each side and small round diamonds set into each side of the shank underneath the shoulders . The ring is hallmarked by the London Assay Office for platinum and 2017 and bears the sponsor's mark "A&SP" for Alan & Sue Poultney. The sapphire has been certified by The Gem & Pearl Laboratory London as natural with no heat treatment and originating from Sri Lanka.